We’ve done a bang-up job of polluting both Earth and outer space in the past few decades. 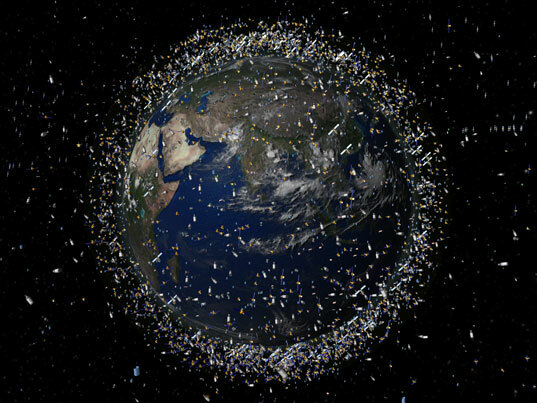 Space junk, at least, could be reduced significantly if satellites didn’t die out so quickly. Enter MacDonald Dettwiler and Associates (MDA), a Canadian company that wants to build a space-bound satellite fueling and service station. 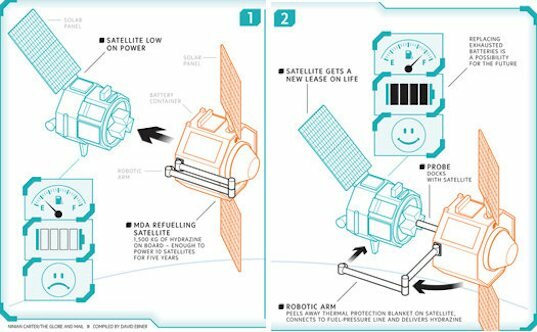 Here’s how the station would work: after being launched in space, it would dock to existing satellites (note: satellites travel at 7,000 miles per hour), fix them up, and fill them with hydrazine. The process could potentially double or triple the lifespan of satellites if all the onboard equipment remains intact. MDA hopes to have a prototype ready in 2013 — just in time to help out the 136 satellites scheduled for decommissioning between 2012 and 2020. This is precisely what is required, however i wonder how the service satellites will be maintained and restocked? Could it not be a case that perhaps the ISS or future equivalent be used as a control station to maintain or monitor such satellites.